The current Mountain Goats tour is a bit of a throwback of sorts. After tours as a trio with drummer Jon Wurster and tours where the band added new players such as horns, a second guitarist, and various special guests, this month the Mountain Goats is a John Darnielle and Peter Hughes duo. The stripped down stage show gives the band a chance to take some chances. Last week at Maxwell’s, this included some older and rare numbers, including the twelve year old never-heard-before track from the Alpha series, “Alpha Chum Gatherer” (streaming below), and some out of the blue covers (“Ripple” streaming below). This tour is also playing to much smaller rooms than Mountain Goats tend to play these days, and the chance to experience the band in an intimate setting like Maxwell’s was a treat. This tour continues through the month of June in the Midwest and South. I recorded this set in our usual manner at this venue. The band’s outstanding FOH Brandon Eggleston is responsible for the superb mix of this particular show and the prime quality of this recording is a tribute to his talents. Enjoy! 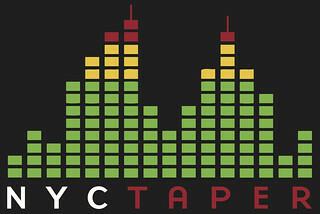 If you download this recording from NYCTaper, we expect that you will PLEASE SUPPORT the Mountain Goats, visit their website, and purchase their official releases from the Mountain Goats Store [HERE]. Thank you so much cant wait to hear this and will be donating right after we are done. Thank you for this! Much appreciated.